Ferraris are distinguished by the unique sound of their famed roar. The Ferrari engine start sound is an expression of pure joy borne from world-class engineering, the result of decades of engineering refinement to produce a throaty rumble connecting the driver to their car. Ferrari engine sounds are unique, both on the road and on the F1 track, and that’s by design. Some automakers rely on amplifiers or loudspeakers to produce vibrant engine sounds, but Ferrari is committed to doing it through smart design, acoustics, and tuning. Francesco Carosone, Senior Acoustic Engineer at Ferrari, spoke to this by saying, “We have the authentic sound that other car companies want to create artificially, and we intend to keep it that way.” This obviously creates a challenge as designs evolve and automotive technology advances, but it’s part of what makes every Ferrari distinct. It’s important for Ferrari to develop the ultimate sensory driving experience. That’s why Ferrari makes extensive use of the Brüel & Kjær NVH (Noise, Vibration, and Harshness) Simulator, giving Ferrari’s design team the tools to do ample prototyping before actually building an engine. Obviously, the engines themselves are a huge factor in the sound the vehicles generate, and Ferrari once more has some engineering wizardry that separates their vehicles from the pretenders. One of the keys to the smooth revs of Ferrari’s engine sounds is the flat-plane design of their motors. The Ferrari 458 Italia, for instance, features a V8 with flat-plane (180-degree) crankshaft that alternates between cylinder banks, giving it smooth, resonant sound, while V8s that use a cross-plane crankshaft (as most American V8 engines do) typically sound crude in comparison. Whether hearing Formula 1 cars or road-ready Ferrari, the engine sound will always be distinct, iconic, and unmistakable. 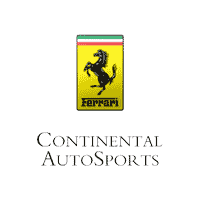 You can hear it near Chicago when you come to Continental Ferrari, but we’re also happy to serve enthusiasts in St. Louis, Indianapolis, and the rest of the country. To inquire about purchasing a Ferrari or ask other questions, don’t hesitate to contact us.